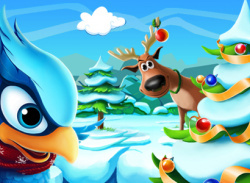 Mojo’s adventure continues on as he struggles through the harsh winter, by-passing Santa’s elves who are journeying around the globe to deliver gifts in time for Christmas. 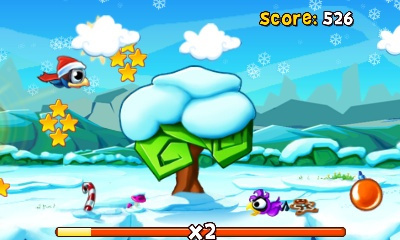 With a boost of Christmas spirit and Santa’s hat, Mojo is more determined than ever to reach his destination! 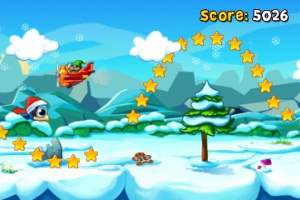 Fly through the icy winter full of gingerbread cookies, candy canes and pine trees galore. 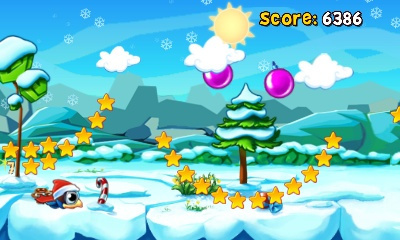 Loads of Christmas baubles and stars to collect for points! 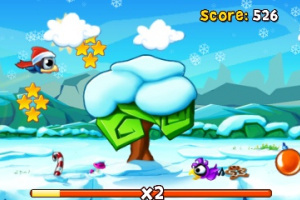 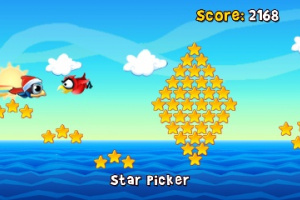 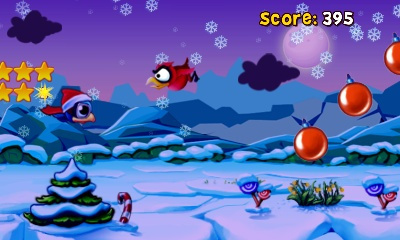 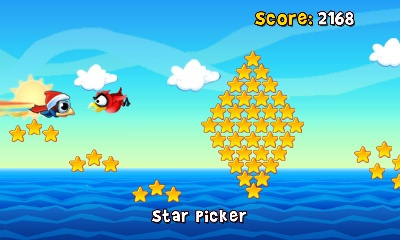 Dash into enemy birds for crazy bonuses but avoid crashing into Santa’s elves to keep Christmas alive! 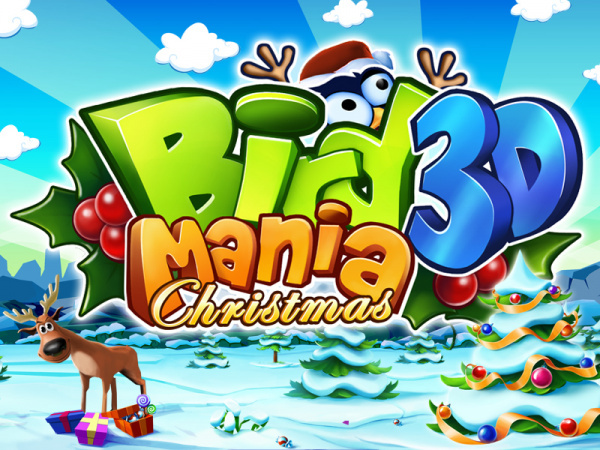 This game is a must-have-companion to the original if you already own it ! I dont even celebrate x-mas so its extra tacky and silly looking for me when i play it,which adds to the overall vibe/value of this two dollar gem ! 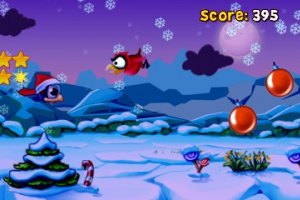 The fact that it came out the day after x-mas makes it even more obscure lol !